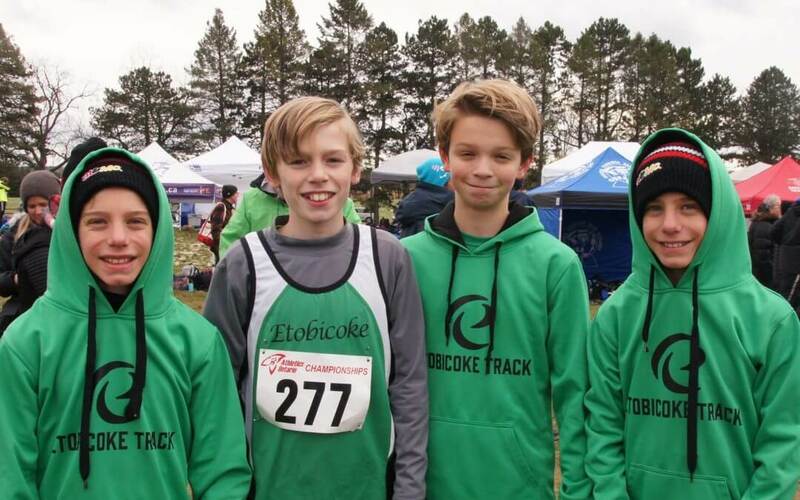 Some of our cross country athletes braved the cold this weekend for the final AO meet of the season – the Athletics Ontario Cross Country Championships held in King City. The snow held off but the athletes had to battle through a wet and muddy course. It was a great effort by all who participated, congratulations to Bantam boys team on a silver medal and a big thanks to all of the spectators that came out to cheer our Etobicoke athletes on!